Anne Bancroft can best be described as an all-round Hollywood icon. During her over 5-decade-long acting career, the multitalented star earned numerous accolades for her work in film, stage and television including one Academy Award, 3 BAFTAs, 2 Golden Globes, 2 Tony Awards and 2 Emmy Awards. The iconic actress belonged to a select group of entertainers to have won all 3 major awards in acting; an Oscar, an Emmy and a Tony award. She was also part of another elite group of actors to have won an Oscar and a Tony for portraying the same role on stage and in a film. In addition to Anne Bancroft’s well-decorated Hollywood career, she was also famous for her long marital union to fellow A-lister Mel Brooks. Their marriage lasted for over 4 decades and the couple collaborated on some very successful movie projects including the highly-acclaimed historical film The Elephant Man. Bancroft and Brooks remained married until 2005 when the former passed on. Anne Bancroft was born Anna Maria Louisa Italiano on the 17th day of September in the year 1931 and her place of birth was the Belmont neighbourhood of the Bronx, New York. Her parents Mildred (née DiNapoli) and Michael G. Italiano were both born of Italian immigrants. She studied acting at various institutions including the HB Studio, the American Academy of Dramatic Arts and the Actors Studio. She also attended a Directing Workshop for Women by the American Film Institute at the University of California, Los Angeles. Bancroft originally began her acting career under the name “Anne Marno” but she eventually changed her last name to “Bancroft” because she believed that the former was too traditional for a movie star. She began working on film and television in the early 1950s, however, her first major success came through stage acting. In 1958, she marked her Broadway debut in the play Two for the Seesaw which earned her a Tony Award for Best Performance by a Featured Actress in a Play and also set the precedent for the rest of her career which has become one of the most successful in Hollywood history. Anne Bancroft won her second Tony Award in quick succession for her portrayal of Anne Sullivan, Helen Keller‘s teacher, in the 1960 Broadway stage play The Miracle Worker. Interestingly, she also won an Academy Award for Best Actress when she reprised the same role in the 1962 film adaptation of The Miracle Worker. The talented actress received further Oscar nominations for her performances in the films The Pumpkin Eater (1964), The Graduate (1967), The Turning Point (1977) and Agnes of God (1985). She also received one Golden Globe award each for her roles in The Pumpkin Eater and The Graduate and her three BAFTA wins came from her work in The Miracle Worker, The Pumpkin Eater and 84 Charing Cross Road (1987). 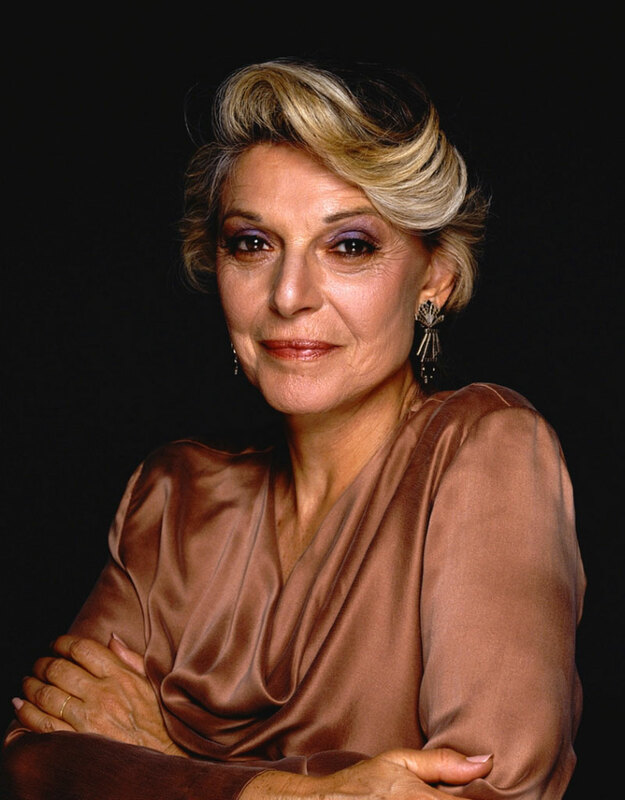 Similar to her big screen and stage credits, Anne Bancroft also received much acclaim for her work on the small screen. Her roles in several TV series, miniseries, telefilms and documentaries earned her multiple nominations at the Primetime Emmy Awards as well as the Screen Actors Guild Awards. She won 2 Primetime Emmy Awards for her roles in the CBS TV special Annie: the Women in the Life of a Man (1970) and the telefilm Deep in My Heart (1999). Marriage to Mel Brooks, How Did They Meet? Anne Bancroft belonged to the select group of Hollywood celebs who had it very good in their careers and also in their love lives. The actress was well-known for being a part of a Hollywood power couple, the other half being the award-winning filmmaker and actor Mel Brooks. The duo met in 1961 at a rehearsal for the hit TV show Kraft Music Hall. While it is uncertain how the relationship between Bancroft and Brooks progressed after their first encounter, we are in the know that the couple ultimately tied the knot on August 5, 1964. Beyond their blissful marital union, Anne Bancroft and her husband Mel Brooks also collaborated on several film and TV projects, though they were never featured together. Brooks was also able to record immense success in his own field just as his wife’s career continued to soar. This A-list couple stayed happily married for 41 years which is definitely a feat by Hollywood standards. They had one child together, a son named Maximillian Michael Brooks, born on May 22, 1972. Their marriage ended in June 2005 when Bancroft passed away. The Hollywood icon died at age 73 after battling uterine cancer.